Total file control for Mac, iPhone & iPad. Mojave-Optimized Version 4.9 Now Available! Mojave-Optimized Version 1.3 Now Available! 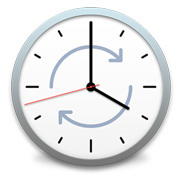 ChronoSync can synchronize & backup to most anything you can connect to your Mac: select cloud services, other Macs, NAS drives, external drives, iPads, iPhones, PCs or anything you can mount as a volume. It can also perform bootable backups to external drives connected to your Mac or remote drives via ChronoAgent. ChronoSync Express offers entry-level synchronization and backup that feels high-end! It offers many of the same great features as ChronoSync at a reduced price. ChronoSync Express is available on the AppStore and Setapp. If you have basic synchronization and backup needs, ChronoSync Express is the right tool for you! 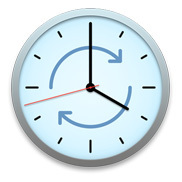 ChronoAgent is an application that runs in the background on a remote Mac and communicates directly with ChronoSync or InterConneX on another device. It provides a direct, high performance, encrypted connection and is the ultimate way to transfer files. ChronoMonitor is an iPhone app that checks the availability and condition of ChronoAgents installed on a network. It also receives push notifications from ChronoSync, letting you know that your scheduled syncs and backups are running properly. InterConneX is a file storage, file management, and file sharing app for your iPhone or iPad. Manage files and folders on your device or share them directly with other iDevices or Macs. File management that is safe and secure — no cloud service required!